This General Purpose Trailer comes with a galvanised finish and a marine wooden floor for maximum long life. Aluminium door is corrosion proof and lightweight for easier handling. Fitted with mudguards, suspension, lights and wide tyres. 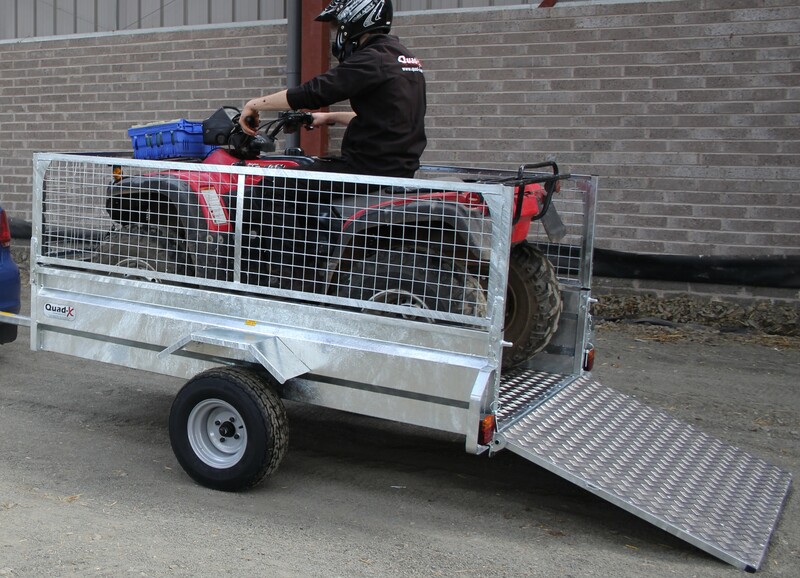 Equipped with drive on ramp for easy transportation of your quad / lawnmower. Available with optional extras including extension mesh high sides (brings height to 900mm), non-slip aluminium floor. Dimensions: 2025 x 1225 x 385mm. Marine wooden floor for long life. Removable Mesh extension sides available. Dimensions: 2025 x 1225 x 385mm.